If you do not know how you are feeling right now, you will not connect with your emotions, positive or negative. For that reason, it is vital that you create the habit of checking in with yourself, every so often, to find out how you are doing. From time to time, or when you detect some kind of emotional discomfort, ask yourself, “How am I feeling?”. Then, identify when you are feeling sad and move to the next step. When you notice you feel sad, go somewhere quiet and private to connect wholeheartedly with that feeling. Consciously direct your focus to your inner world, what is going through your mind and your bodily sensations. In this open and mindful state of being, there is nothing more urgent and relevant than the present moment. Stay with yourself and your feelings for a little while until you have an open channel of communication with your body. What is your body saying about your current emotional state? Are you feeling energetic, socially engaged and motivated, or lethargic and wanting to be alone or even isolate from others? Do you feel like you could cry, or pressure/tension in the chest and/or throat area? Is there a feeling of heaviness in your limbs and body? Connecting freely with those physical sensations, or listening to your own body, will open the channels of communication with your sadness. Now that you have accessed your sadness, what is it telling you? One of the main roles of sadness is to grieve our losses and remind us of what is missing in our lives that is important to us. Are you missing a sense of purpose, yourself, or the company of others? If not, could you be missing someone, a good feeling or time in your past, or something you might never have experienced to the fullest, such as a true sense of community or love? The quickest and most effective way to process sadness is to have a good cry. When you feel your eyes hot with tears, just let them flow. Do not hold them back or make them stop, but let them find their way out of your body and free you of your pain. As emotional tears contain stress hormones, they are a natural means to help you regulate and restore your emotional balance. As it is the case with all other “negative” emotions, such as fear and anger, deeply connecting with your sadness can be extremely beneficial to your emotional, psychological and physical health. Instead of fighting against it, embracing your sadness and learning from it help you redirect your focus to what you identify with and makes you feel good. If you would like to live a more fulfilling, authentic and happier life, it is vital that you replace your rigid beliefs about sadness as something to be avoided or repressed, and open your body to its wisdom and healing power. To take full advantage of the above and notice a change in the way you feel, make your chosen practices routine. Remind yourself that perseverance and patience are key when it comes to effective change. When you allow yourself to feel without judgement, you naturally become more receptive and mindful of your emotional states. Learning how to live at peace with your feelings, in turn, boosts emotional congruence and confidence, which also means giving a powerful voice to your authentic self. As a result, you feel more connected with the whole of you: your mind, body and true identity, leading a more fulfilling and rewarding life. 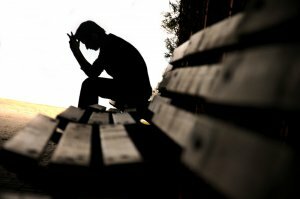 Feeling sorry for yourself may work as a wake-up call to make positive life style changes. That is because life dissatisfaction and disappointment tend to lead to a process of intense self-evaluation and reassessment. There is nothing quite like hitting rock bottom to motivate one into adapting to new circumstances, repairing relationships and replacing bad habits with healthier ones. Increased awareness and respect for negative feelings enables you to quickly identify what is wrong and do something about it. As physical pain, emotional discomfort is there to warn you of potential dangers to your wellbeing. When you address your own inadequateness in a conscious, mature manner and without shaming and blaming yourself, you feel more centred and stronger. Your ability to deal with whatever is bothering you proactively – and even ask for help if needed – increases, which influences emotional health positively. The extremely biased connotation of “feeling sorry for yourself” reflects a culture of emotional neglect and intolerance. 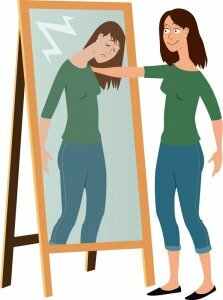 Thinking badly about yourself for feeling disheartened only promotes self-contempt and a self-criticising attitude. When you start embracing and honouring all your feelings, however, you not only become more understanding and empathic towards yourself, but others. Consequently, you also connect more easily with those around you and relationships become more functional. It is not human to feel good or happy all the time. Therefore, it is not shameful to feel sorry for yourself when sadness takes over. Nobody should feel guilty for expressing genuinely felt negative emotions. If you would like to feel connected and live a more authentic life, it may be time to let go of your prejudice against feeling and expressing negative emotions, such as fear and shame. An all-or-nothing mentality that wrongly assumes that if you allow yourself to feel the full intensity of your sadness or even cry, “you will never stop”, keeps you emotionally stuck and hinders your personal growth and development. To fight that tendency, start acting “as if” you do not care about how others perceive your pain and dare to be yourself, whatever that means.